I discovered a new term this week, ‘snowplough parents’. For those of you, like me, who have never heard the term, it refers to parents who are ‘another type of (arguably) over-invested parent who believe it is their role to smooth the path for their kids, pushing all of the obstacles out of the way so that they don’t have to endure hardships, bumps and other difficulties along their ‘path’ in life.’ (source: http://parenting.kidspot.com.au/are-you-a-snowplough-parent/). It got me thinking. Am I a snowplough auditor? We know that auditors are more disposed to the future (considering risks) and management the here and now (issues). This is for reasons I have discussed at length in previous posts. But there is a sense, therefore, that we as auditors can see our way as clearing the path for our management teams to ease their progress. In one sense I think we as auditors should do this; this is the unique value proposition that auditors present for our client management teams. For the very same reasons that in parenting terms this is bad, however, so it is for auditors and their management teams. It risks preventing management learning and development of increased performance. The real problem is that of ‘learned helplessness’, a management team that does not build capacity. Does a good internal audit team really promote that though? I’m not so sure. Now clearly we, as auditors, are not in the dominant or all-knowing position of some parents and cannot ‘protect’ our management teams from their paths in management life, but should we try? I think yes. I think we should be the ones to focus our energies on the future on turning heads to risks and away from issues (as tempting as sorting them out might be). For as an independent third line of defence this is our appropriate role. The article on the Australian parenting website lists other parental types too: ‘helicopter’ parents ‘hover’ over their children, paying close attention to anything and everything that comes into their environment, keeping them safe at all costs. ‘Tiger’ mums over parent in a different way, pushing their children to be ‘all that they can be’, driving them harder and harder towards mastery in spite of protestations and developmental norms. All of these seem to be on a theme of over bearing and dominant parents. I have not yet met an internal audit team big enough in resources, staff or ability to, in reality, dominate their respective management teams. We do as auditors have, however, a lot of positional power, and we should be careful that the management agenda is not over stamped by an audit one, but that is a long way from being dominant in my view. So in conclusion my view is that we should try to be as ‘snowplough’ as we can manage, safe in the knowledge that we are unlikely to, but should remain focused to prevent, become dominant. What’s that I hear? 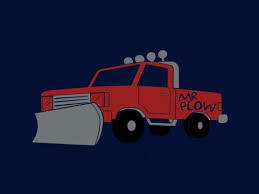 That name again is Mr Plow!